Some tips for English speakers in Korea to upgrade to the latest version of the navigation map. Others might find some of this useful as possible future additions to the mapping software in their own country. In Korea system and map upgrades are DIY and free. You download the latest apk and data using the SmartUpdaterPlus software. This part is Korean only. It is an 8Gb download. You can choose to save the files onto the computer or straight to the SDcard. You can make as many copies of the SD card as you want. The installation takes about 30 minutes. It is all really easy. 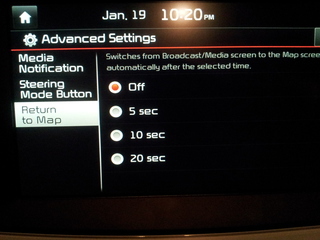 I am very impressed with how easy Kia has made this update process. The software features do not seem to have changed at all. The map however now has English streetnames and locations. A great new feature. The number of public ch argers visible (within driving range) has greatly increased. 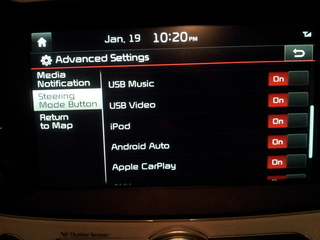 Have yet to test the Navi features to see what else is new. Voice recognition in English still doesn't work. The Navi did lose some of the recent "Over The Air" updates. For example recent speed cameras. These were restored within 24 hours. Last edited by JejuSoul on Mon Mar 04, 2019 7:42 am, edited 2 times in total. Some interesting bits of info I found while looking through the update log files. The difference in what gets updated in the 4 different markets. checksum is a text file that has a hash value for each file. checksum.md5 is a text file that has a md5sum value for each hash. otacerts.zip contains a PEM certificate presumably for validating Over The Air updates. Just added the latest version. One new feature for EVs is in the Range map. You just touch the ch arger you want and the navigation heads for there. Also of interest was that the camera software got updated. What is new I don't know yet. Last edited by JejuSoul on Mon Mar 04, 2019 8:24 am, edited 1 time in total. Will update later when I've tried this new version. Added the new map - tested it. Mostly it is all the same. If you push the compass button on the map it gives 3 options "2D North Up", "2D Heading Up" and "3D North Up"
This can also be done through the mapview setting which I hadn't seen before. Looking through the update files on the latest map I found some interesting data. Last edited by JejuSoul on Mon Mar 04, 2019 8:25 am, edited 1 time in total. Haven't added it to the car yet but I do know we won't be getting Android Auto because the government blocks Google Maps here. Really interesting controversy here about Pokemon Go. Because Google Maps is banned Pokemon Go will not work in most of South Korea. But it does work in regions very close to the North Korean border, and islands close to Japan where Google Maps uses data intended for another country . Added it this evening. Changes seen so far. Improved route finding and searching for places to charge. Last edited by JejuSoul on Mon Mar 04, 2019 8:28 am, edited 1 time in total. It doesn't upgrade the software much. Only new page was this. It does completely alter the charging locations. Previously in Jeju the Navi displayed 65 government run c hargers, and left off the commercial networks. These have now been removed from the car's map. We now have a commercial system of about 200 c hargers. The government run c hargers all still exist, but there use is now intended to be for government vehicles only. An interesting aside. You now get a pop-up message on the Navi screen telling you that an update is available. The I oniq EV also got this message, although for some odd reason the update wasn't actually available for the I oniq EV. 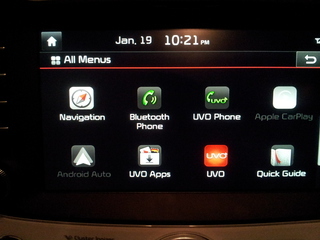 Update: The I oniq EV got the third quarter map update a month later than everything else. Last edited by JejuSoul on Fri Jun 08, 2018 10:31 pm, edited 1 time in total. 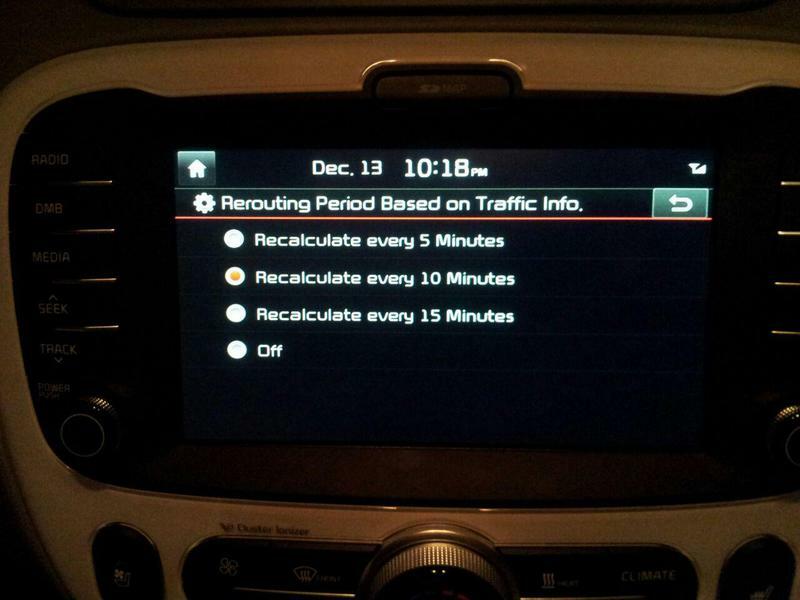 A warning message for those trying to upgrade the navigation software. 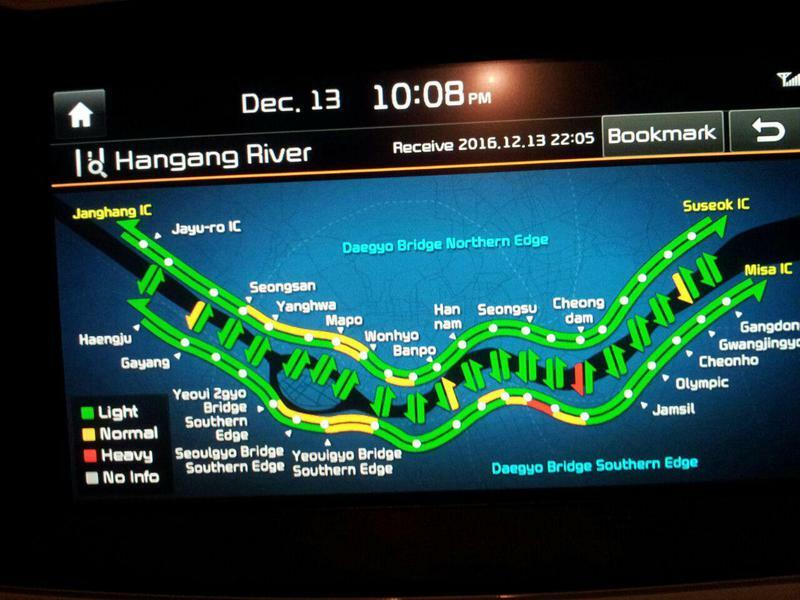 A user in Jeju recently needed their Navi computer to be replaced after a failed map upgrade. The user forum here suggests that people wait for more info before attempting any upgrades. In the US users who tried upgrading in 'ACC' mode rather than 'Start' mode have drained their 12V battery. I have never had a problem with this process, I have done it 4 times now, but it seems others have. I have already been running the supposedly faulty software for a month already. I will wait for further details, before commenting more. For now bear in mind the warning. The quarterly map update is not out yet for Q4 2016, but a couple of things I looked at yesterday are interesting. 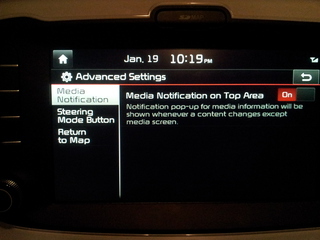 While driving I got a pop-up message on the Navi screen that the camera software had been updated. If you look at my post from January you'll see that I've had this before. Am now guessing that this message is telling me that the navi has updated its speed camera data. Also I looked at the real time traffic info and route system. I have never used this because we don't have any express-ways on the island. Despite this my system does update every 5 minutes with real time traffic info from the entire mainland. 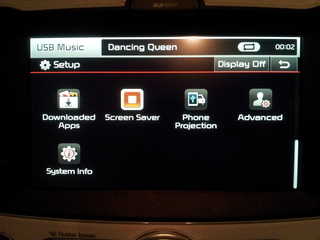 User jasonamd extracts the apk files from a 2016 Kia Sorento. So I did the same with the files from my Soul EV. 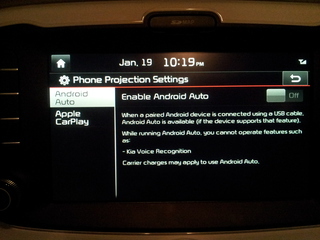 It includes Android Auto and Apple Car Play for the first time in the Korean Navi. Haven't used either of these yet. Here are the new screens.